Revive my Ride offers a bespoke yet affordable car valeting and detailing service from our base in Northam. We specialise in the highest standard of car care using the latest products, technology and equipment to ensure that your vehicle receives the highest standard of work. I am fully insured and experienced to carry out a variety of different jobs to your vehicle, from a basic safe wash to high end prestige detailing. We offer a mobile service and can fully valet your vehicle at a location convenient to you (by agreement). 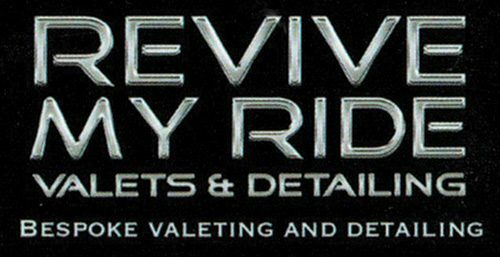 Revive My Ride Valets & Detailing is also the home of North Devon Leather Clinic specialising in the repair of automotive upholstery, whether it be scuffs cracks and scratches,holes rips and tears to full recolours, see our work in the Leather Repair section on this page.